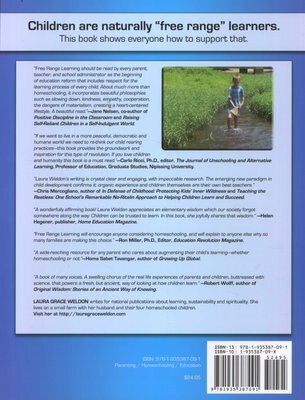 This book presents eye-opening data about the meaning and importance of natural learning. This data - from neurologists, child development specialists, anthropologists, educators, historians and business innovators-turns many current assumptions about school-based education upside down. The book's factual approach is balanced by quotes and stories from over 100 home-schoolers from the U.S., Canada, Germany, Australia, Ireland, New Zealand, Mexico, India and Singapore. These parents and children are the true authorities on alternative learning. Written for interested parents and educators, this book will also encourage and excite those who want their children to have the benefits, but who are timid to approach home-schooling. 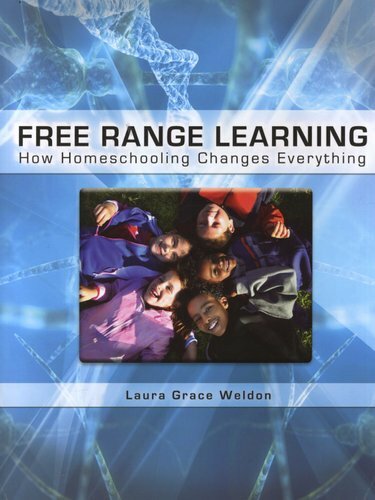 This is the only book anyone needs to make the choice and start the process of home-schooling children, and is applicable for young people from pre-school through high school. Studies indicate that adults who were home-schooled are: more likely to vote, volunteer and be involved in their communities than graduates of conventional schools; read more books than average; more likely to have taken college level courses than the population as a whole; and, tend to be independent and self-reliant. The book presents the simple choice to home-school as something much more significant than a homespun method of education. Weldon asks us to consider this choice as participation in a cultural shift toward redefining success; and as a form of collective intelligence with major implications for the future of education. Children are naturally 'free range' learners, she says. They build knowledge and skills naturally, within the full spectrum of their daily lives, while observing, exploring and pursuing their interests. This book guides any parent or educator in assisting that process. The book demonstrates: that children and teens can best be nurtured outside of restrictive educational systems; that we can restore what is heart-centred and meaningful back to a central place in education; how networking with others enriches the learning experience for our children; how home-schooling has become a force of positive social change-making the community a better place for everyone.